Do you ever feel like you wait at one red light in D.C. just to hit the very next one ahead? D.C. officials are retiming all 1,600 traffic lights in the District to ease travel for drivers, bus riders, cyclists and pedestrians. Some of the lights haven't been touched in 30 years, D.C. Department of Transportation officials said. Sixty percent of signals in D.C. have been retimed already, and doing so is crucial to improving traffic flow, DDOT traffic signal manager Wasim Raja said. "We are not widening our roadways anymore, so we have little capacity to push the amount of traffic that we've got," he said. 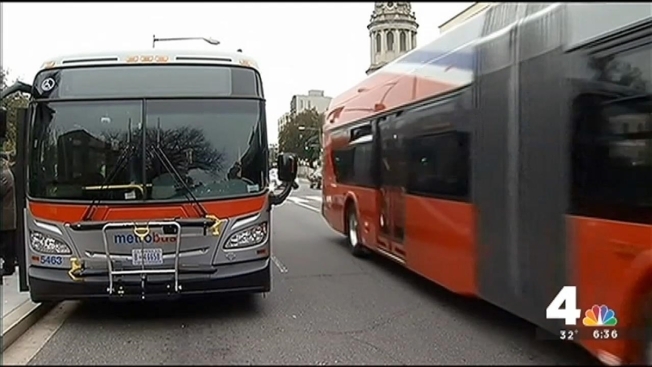 In addition to retiming traffic lights, buses are being outfitted with technology that lets the buses change the lights so they can keep rolling. "These are the corridors where ridership is typically higher, like the Georgia Avenue, 16th Street, Wisconsin Avenue and certain corridors downtown," Raja said. DDOT estimates every light in the District will be retimed by early 2017.